A new incandescent light bulb has been invented by a team of researchers at the Massachusetts Institute of Technology due to the breakthrough in nanotechnology which tends to be much more efficient than LEDs. 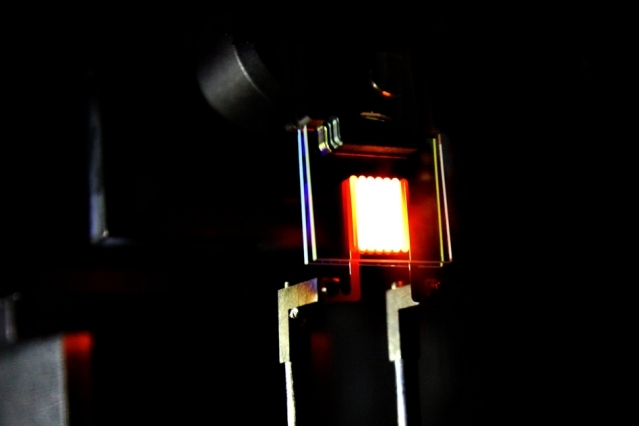 The US researchers state that they have developed the technique which could considerably advance the efficiency of the traditional incandescent light bulb. The older bulbs have been phased out in several countries since they tend to waste large amount of energy as heat. However the scientists at MIT have discovered means of recycling the waste energy and aiming to get back on the filament where it is re-produced as visible light. They are of the belief that they have developed the skill which could turn the weakness of the traditional incandescent bulb into power. The incandescent light bulb is a wonderful world changing invention. Its form is iconic with the light it tends to produce is matchless. The MIT team comprising of professors Marin Soljacic, John Joannopoulos and Gang Chen, have not necessarily re-invented the incandescent bulb nor have they done away with LEDs and CFLs, ushering in new era of incandescent. They have set out in solving an old problem by utilising new technology. Significant to the technology on display with the next gen incandescent, is a two stage light recycling process wherein infrared radiation which is produced by conventional tungsten filaments is taken by photonic crystals based filter wrapped around the filaments. Performing as nano-mirror, the crystals made of Earth-abundant materials tend to reflect the energy back to the filament so that the radiation instead of being wasted as heat is reabsorbed and harvested producing visible light. The discovery disclosed in the journal Nature Nanotechnology is undoubtedly impressive if a touch puzzling to those of us who do not tend to dedicate time and energy to nanophotonics. It could be simple just to think of these incandescent as self-recycling bulbs which could connect a source of waste and then transform it into a source of energy. Applying this technology of light-recycling to commercial lighting could be a small part of a intricate puzzle as the MIT tend to investigate other application wherein this innovative thermal emission controlling process could be instantly beneficial. But Soljacic had explained to BBC that he `would not exclude the probability of incandescent bulbs re-emerging in a completely more efficient form and it is not totally out of the question considering that incandescent bulbs are not outlawed. The most popular wattages have to be manufactured in order to meet the efficiency standards established in 2007’. `Thomas Edison had not been the first one to work on the design of the light bulb, however what he had done was to find out how to mass produce it economically and keep it stable for a longer period of over 10 hours and these are the two critical criteria still. These are questions to which they are trying to answer’. Soljacic further added that they `have a vast challenge which the world is facing presently, global warming and energy efficiency and this give one more tool in the toolbox to meet this challenge and they are excited about the potential’.